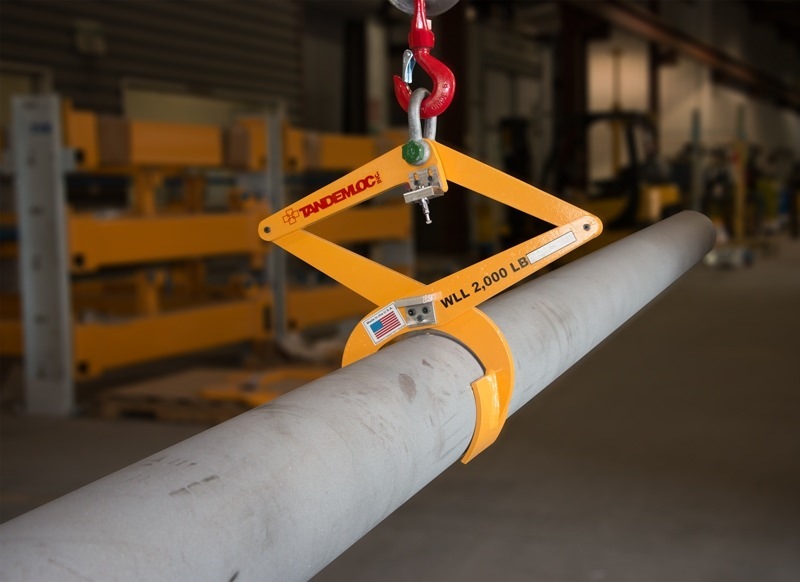 The AR12 Series Diametral Pipe Lifting Tongs are for handling cylindrical objects such as pipe, round bar and any other cylindrical item falling within the WLL and diameter size that each tong is designed for. 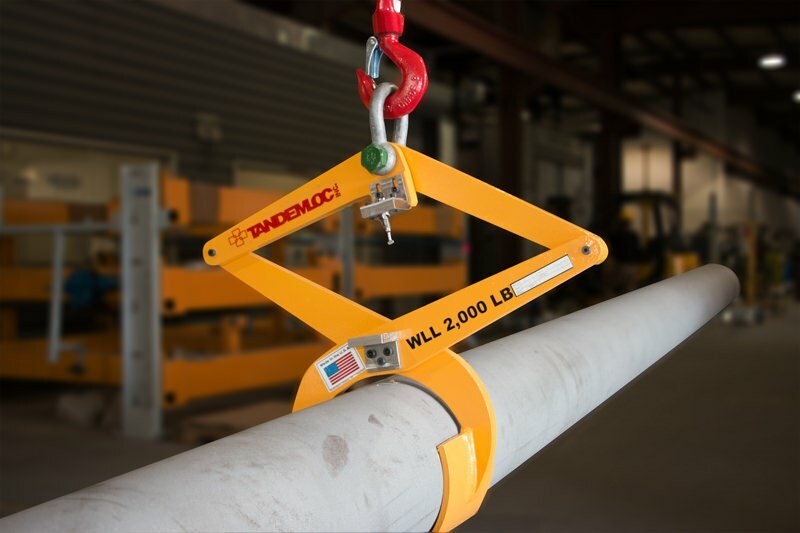 Our AR12 Series Tongs include the Tandemloc Autolatch™ for easy object engagement. 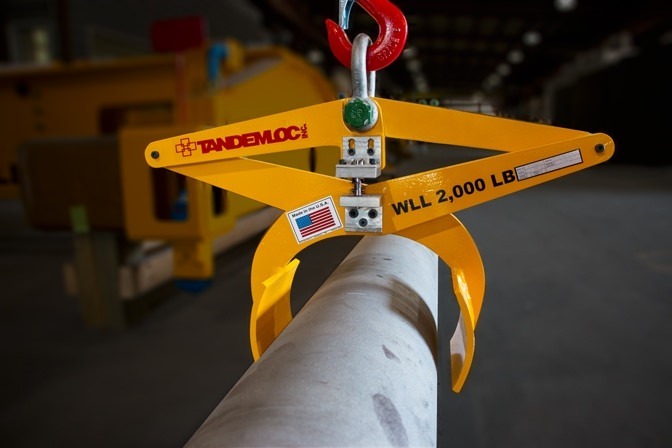 The Tandemloc Autolatch™ allows the tong to engage and capture the load, perform the lift and then safely disengage from the load upon the placement of the load in its new location without electrical or manual human involvement. 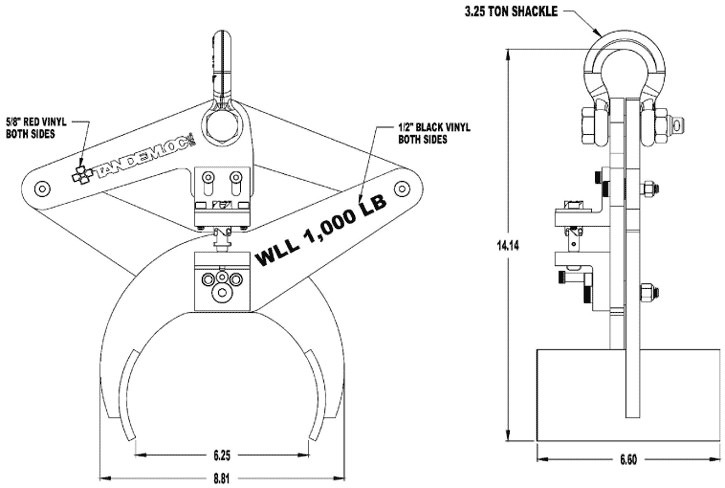 Designed to handle cylindrical objects such as pipe, round bar and other cylindrical objects within the capacity limits and geometric limits of the model chosen. 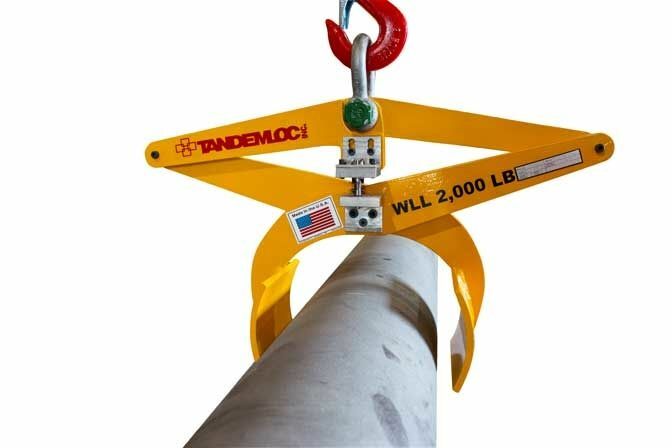 Includes Tandemloc Autolatch™ for safe automatic engagement and disengagement of the load. Gripping shoes provide a load distribution over the lifted item. 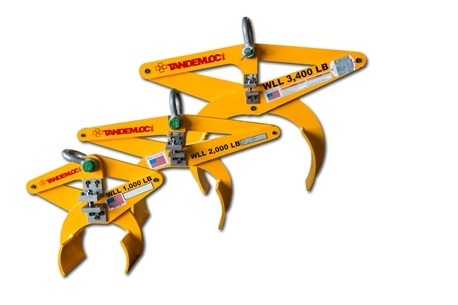 Load must have sufficient structural capacity to handle compressive force applied during the lift. 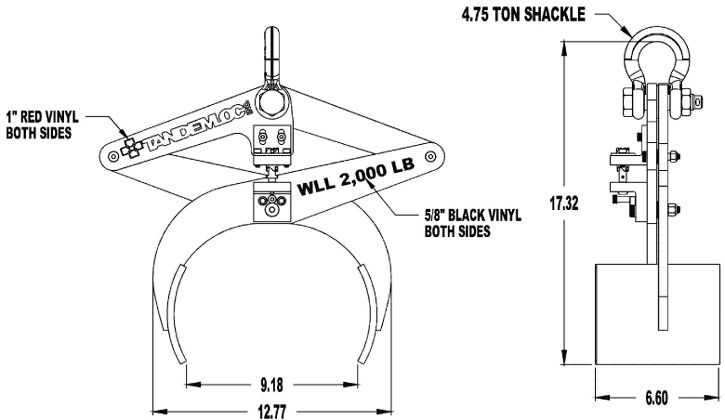 Shackle connection point at the top of the lifter connects to the crane hook. 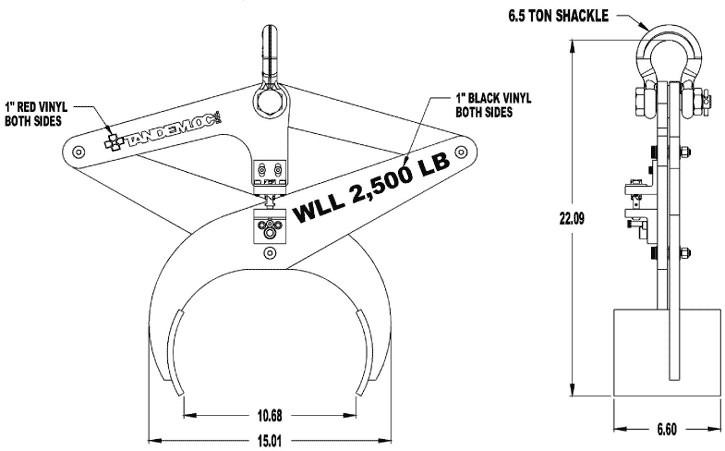 Designed to be used in a balanced lift. 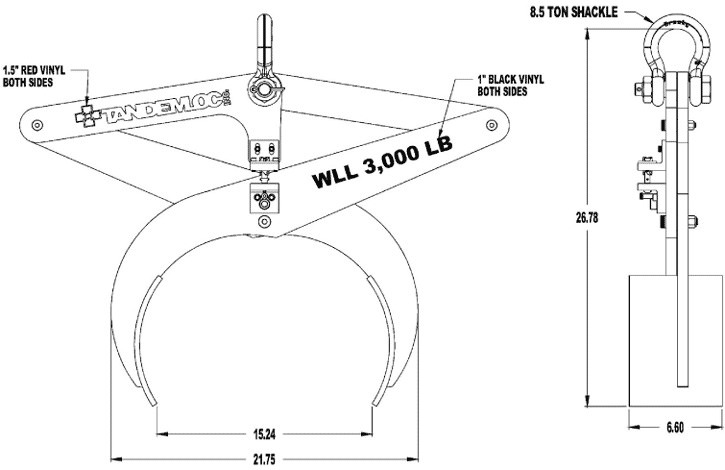 Meets ASME B30.20 and ASME BTH-1 specifications. 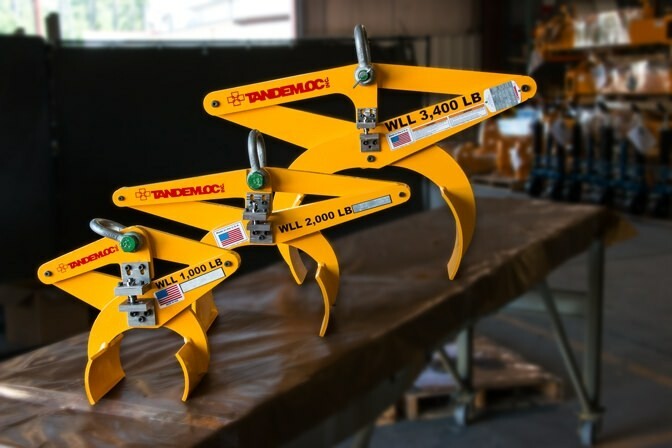 For pricing on stock or custom tongs, please contact the Tandemloc Sales Department.